Want Transformation? You’ve come to the right SPACE. This is a Paradigm Shifter! 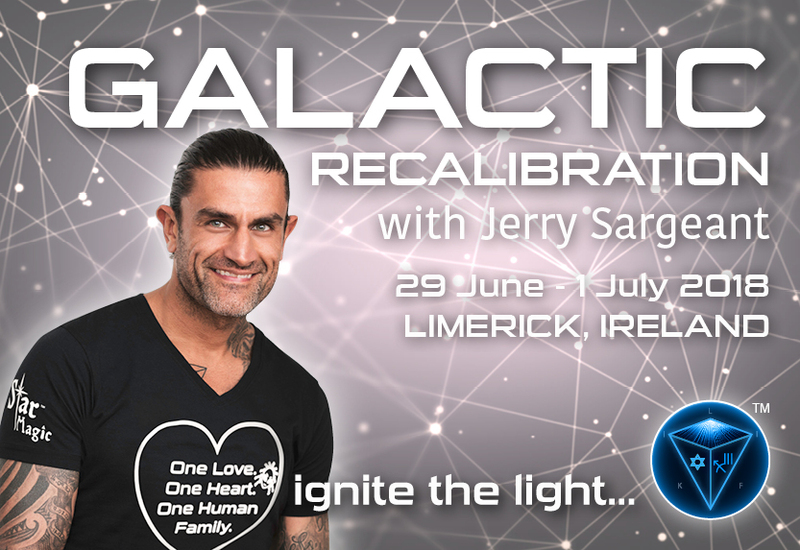 Join Jerry and the Star Magic Team for an epic 3 days of self-healing, DNA Activation, cellular re-calibration and planetary and ascension grid work. 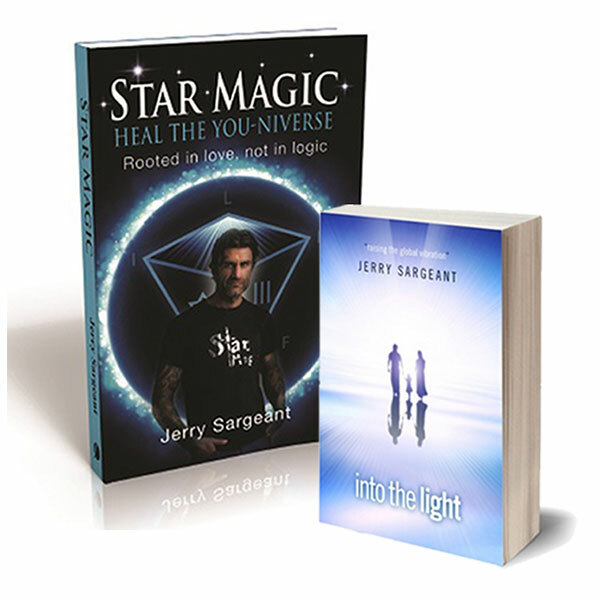 Delve deep into the heart of Star Magic as Jerry takes you on a powerful journey, sharing a number of 5d Healing techniques that will elevate your frequency and bring your soul into alignment with your life purpose here on Planet Earth. It’s time to Discover Your Inner Truth and Shine Your Universal Light. This new Star Magic workshop is for those human beings serious about personal transformation. We are at a crucial time and space on our evolutionary path as a species. So much is happening in the cosmos. The cosmic Fabric or the CNL (channelled network of light as Jerry refers to it as) is recalibrating. The geometry of our universe is shifting and the relationship we have as people with our immediate and extended cosmic environment is changing constantly. How do you feel in this moment about life? Maybe you will feel completely different tomorrow? Have you had that feeling? The feeling of constantly changing internal emotions and outward reflection? Do you suddenly realise, in a heart beat, that today your outlook on life is worlds a part from how it was yesterday or last week? Or maybe you’re only noticing small shifts in perspective? Either way you are on the right path. The path of ascension. Do you want answers to your questions and clarity on your life and purpose right now? This workshop will give you the answers and more. Remove emotional blocks stopping you reaching your full human potential. Recalibrate your cellular memory to optimise rapid self-growth. Activate your DNA to unlock deep ancient knowledge residing inside of you. Release and self-limiting beliefs that are stuck in your subconscious mind. Dissolve any ancestral ties that are stifling your progress. Leave feeling weightless with Unbreakable confidence flowing through your veins. 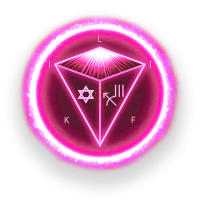 Amplify your life as you re-connect to the primary light and sound fields of source energy. Discover how it feels to love yourself unconditionally for who you are, maybe for the first time in your life and have that feeling flow back into your life and stick. If you are ready to take this Quantum Leap in your evolution as a woman or man on this planet and start playing the game of life like a titan, in a colossal fashion, elevated, standing tall with zero fear, in a space of strength, courage, energy and unconditional love, then be there. Join us. Join Your Tribe and take your life beyond the next level. It’s time to reset your entire consciousness do you are living in a state of balance. Joy and Bliss will be your natural default state once more. Discussion time mixed in between the meditations to deal with anything that arises throughout the weekend. This weekend is breath taking. It will change your life forever. You will leave this workshop a different human being. Get ready to be empowered. You will leave this workshop a different human being. After visiting the spaces Jerry guides you too… there is NO other option! Jerry’s facilitation of a group sound healing was incredible as energies of the group were threaded together and interwoven, healed, made whole. I felt the sensation of energy filling through my feet and codes rushing through my legs. The sense of warmth in the room by the end of the weekend was something you wanted to bathe in. 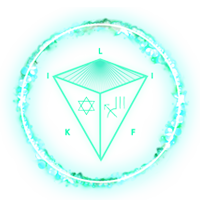 Star Magic is a true connection experience inside and out, allowing you to explore in, and navigate the vibrant startling depths of the youniverse.